The Gemini New Moon occurs on May 25; this can be an ideal time to start an activity in your neighborhood, shop for a car or make a communication especially with siblings. It is important to be clear on the facts and have a willingness to listen. Haste is not your friend. June 9 Jupiter goes Direct — this can feel like a horse out of the gate, especially for Jupiterian types (if you are born with a strong Jupiter or a lot of planetary activity in Sagittarius). We may see a great deal of optimism and activity financially at this time that can be beneficial for some but obviously not for everyone. Neptune goes Retrograde on June 16 – over the next several months, LISTEN to what is not said. Our perceptions can become more acute at this time and our ability to detect falsehood increases. Alcohol and medications tend to have a greater effect. The Cancer New Moon on June 23 brings attention to matters of the home and family which may be in sharp contrast with career concerns. You may feel out of synch spiritually with a goal. Use the New Moon intention to reconcile whatever divides you may feel in family, or heart with the obligations of the outer world. July 23 has a Leo New Moon. Creative expression may be impulsive; if you are an artist expect inspiration, even though it may come in unfamiliar wrapping. If you don’t consider yourself artistic, a dramatic emotional outburst may come regardless. Children and youth want to be heard. On August 3 Uranus goes Retrograde – when retrograde Uranus can be more disruptive than when direct because it’s on stealth mode. When it stations Retrograde, there may be an actual physical event that captures the attention of the world. As it moves through the retrograde, depending on if it hits any of your personal points in the horoscope, you make have a “eureka” moment or upset that leads to a breakthrough. Uranus is retrograde through 2017. The day after Uranus Retrograde is another exact configuration of Jupiter/Pluto square on August 4 – so it’s likely that whatever equilibrium was achieved in the past couple of months is now a wild ride. The Aquarius Full Moon on August 7 must be mentioned because it’s a Lunar Eclipse. This eclipse revisits issues triggered by the February 10th eclipse. Coupled with the recent retrograde Uranus, the genie may pop out of the bottle. This can be exciting with a momentum to act upon if you’ve been working with integrity and are ready to act. Looking at the US and the president, there is an accountability factor which shows a reckoning time. Mercury Retrograde on August 12 increases the necessity for research and care before you tweet or send information. The volatility of August requires a steady head and clarity of goal to use the engine of energy wisely. The Solar Eclipse on August 21 happens exactly on Donald Trump’s Rising Sun and natal Mars. That is also the point of Regulus, the fixed star. Regulus is in the sign of Leo and often referred to as the “little king”. Traditionally it was seen as an auspicious placement for royalty. It brings the energy of Mars and Jupiter to one who has it prominently placed. Because it’s on his Ascendent, it ramps of Trump’s aggressive and authoritative persona. Positively it shines with ambition, independence and grand generosity. Like most of the fixed stars, it brings more heaviness than fortune to the native. Unless someone with a strong Regulus placement handles its power with a forgiving nature it leads to ultimate failure. 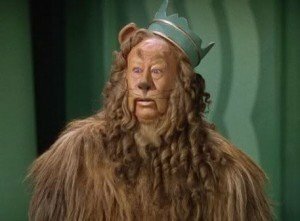 From the Richard Hinckley Allen book, Star Names about Regulus: “If the star of the great lion is gloomy the heart of the people will not rejoice.” The August 21 eclipse lights up on Trump and how he handles whatever incident occurs at that time may dictate the duration of his presidency. On September 5 Mercury Direct. The Virgo New Moon on Sept 20 emphasizes matters of health and the environment. Make time for walks in nature. This helps to ground you especially with continual communications and mixed signals through media. Your pets and animal friends help you connect with your body’s natural rhythm; this communication feeds you. Although September 28 finishes the exact passage of the Jupiter/Uranus/Pluto picture I mentioned earlier, we still must process through the need to reach out, learn, break down and recreate. Life as it used to be has changed and working with the present strengthens us. Hanging on to the past does not work. This is an excellent time to move forward with courage on a bold idea. Pluto Direct on September 28 often indicates that secrets and revelations are about to come to the surface. We’ll see how this unfolds going into next year. 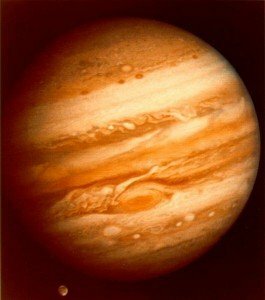 Jupiter enters Scorpio on October 10th. Jupiter stays in one sign for roughly an earth year and in Scorpio, good fortune comes through investments and mergers. Obviously, not every transaction is going to be a hit. Scorpio demands that you do your research. Nefarious or manipulative dealings will eventually unravel. This can also be a fantastic time to deepen into your sexual expression. You may want to study an occult art like astrology or tarot. Tremendous breakthoughs can occur in psychotherapy. Some of you may benefit from inheritances or dividends; it all depends on your personal horoscope. The Libra New Moon occurs on Oct 19. Although this New Moon suggests their can be some sort of declaration of independence within any kind of relationship, it also has focused creative energy and a potential for profound communication. Even though a situation changing can seem threatening, it can also bring in more space for ideas and inspiration. The November 18 Scorpio New Moon presents a powerhouse to get things done. 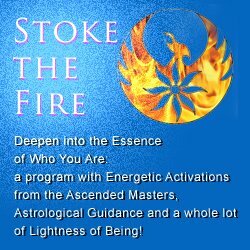 This is profound transformational energy that you can drive for any mandate or goal you are determined to birth. Be prepared for action and be open to an out-of-the-blue opportunity that can take you where you want to go, even if you didn’t plan it that way. This strikes me as a pivotal period for US healthcare as well – where even a Hail Mary play may create something quite unexpected. Mercury Retrograde on December 3 through December 22. The Sagittarius New Moon on December 18 brings an emphasis to what you believe, your aspirations and desire to learn. As you give a long view to where you’d like to go, look to what’s around you now so that you can start immediately. Do you want to go to Spain? Maybe it’s time to practice Spanish with your next door neighbor. Do you feel a need to fight for justice? Then find a group within your immediate community to get involved. Would you like to go back to school? Sign up for at least one course to begin the process. Saturn finishes this journey through Sagittarius and enters Capricorn on December 19. Saturn is in its natural sign in Capricorn and will begin its pace to meet Pluto in Capricorn in a few years. But even though it’s a ways off, we start to feel this as 2017 ends. By the end of this year, we have a much clearer perspective of what this fledgling presidency brings to the US. For each of us, 2017 is a year to let your fire and inspiration guide you to Make a Difference, whether however that resonates for you. This year does not bode well for those who simply spectate. -Creative Routine, Equal Partnerships and Observe Right Timing. I’m planning a fabulous weekend retreat with Transformational Coach Rose Caiola. Our Elemental Change Retreat takes place the first weekend of April at a cottage on the landscape of the beautiful Wainwright House in Rye, NY.